Joseph Vittori was born in Beverly, MA, on 1 August 1929 and attended school there until graduating from high school. He worked on his father's farm until 4 October 1946 and then joined the Marine Corps on a three-year enlistment. After enlisting he was sent to the Marine Corps Recruit Depot, Parris Island, in South Carolina where he graduated in December 1946. 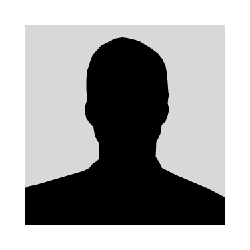 He served briefly at the Norfolk Naval Shipyard in Norfolk, VA, and Brooklyn Navy Yard in Brooklyn, NY, before being attached to the Marine Detachment aboard the USS Portsmouth from April to June 1947. After sea duty he was then stationed at the Philadelphia Navy Yard until May 1948, when he joined the 2nd Marine Division at Camp Lejeune, NC. From January to May 1949, he served with the Sixth Fleet in the Mediterranean area and again served at Camp Lejeune until 3 October 1949, when he was discharged. With his service to the Marine Corps over, he returned to his hometown of Beverly, MA, and worked for a year as a plasterer and bricklayer until enlisting in the Marine Corps Reserve on 26 September 1950, for an indefinite tour of active duty. He was sent back to Camp Lejeune for training until January 1951, when he arrived in Korea to join Company F, Second Battalion, First Marines, First Marine Division (Reinforced). He participated in the South and Central Korean campaign, receiving a promotion to Corporal on 15 June 1951. On 9 June 1951, he earned his first Purple Heart when he was wounded near Yang-gu, Korea, and after leaving the field hospital, was assigned a position as a property sergeant. After a week at the new job, he asked to rejoin his buddies in his old infantry platoon, and was allowed to do so. On 16 September 1951 his company was assaulting Hill 749, where the People's Liberation Army had established several entrenched positions. A vicious enemy counter-attack drove back a forward platoon with heavy casualties, and along with two other volunteers from his reserve platoon, he dashed into hand-to-hand combat in the midst of the swarming enemy to give the Marine company time to consolidate its positions. Later, when a call went up for an automatic rifleman to defend an isolated heavy machine gun position on the flank of his company's sector, he again volunteered. With heavy casualties leaving a 100-yard gap in the Marine lines at the position, he fought a single-handed battle to prevent an enemy breakthrough. Leaping from one side of the position to the other, he kept up a withering fire of over 1,000 rounds in three hours. He made repeated trips through heavy shellfire to replenish his ammunition, manned a machine gun after its gunner fell, and despite enemy penetration to within feet of his position, kept the enemy out of the breach in his company's lines until he was killed. The next morning the Marines counted almost 200 enemy dead in the area. Vittori was killed in action only two months after being allowed to return to his unit. For his heroic actions, he was posthumously awarded the Medal of Honor. He was the 19th Marine to earn the Nation's highest decoration for heroism in Korea. 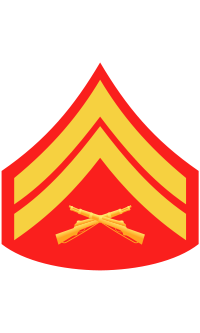 For conspicuous gallantry and intrepidity at the risk of his life above and beyond the call of duty while serving as an Automatic Rifleman in Company F, Second Battalion, First Marines, First Marine Division (Reinforced), in actions against enemy aggressor forces in Korea on 15 and 16 September 1951. With a forward platoon suffering heavy casualties and forced to withdraw under a vicious enemy counterattack as his company assaulted strong hostile forces entrenched on Hill 749, Corporal Vittori boldly rushed through the withdrawing troops with two other volunteers from his reserve platoon and plunged directly into the midst of the enemy. Overwhelming them in a fierce hand-to-hand struggle, he enabled his company to consolidate its positions to meet further imminent onslaughts. Quick to respond to an urgent call for a rifleman to defend a heavy machine gun positioned on the extreme point of the northern flank and virtually isolated from the remainder of the unit when the enemy again struck in force during the night, he assumed position under the devastating barrage and, fighting a singlehanded battle, leaped from one flank to the other, covering each foxhole in turn as casualties continued to mount, manning a machine gun when the gunner was struck down and making repeated trips through the heaviest shellfire to replenish ammunition. With the situation becoming extremely critical, reinforcing units to the rear pinned down under the blistering attack and foxholes left practically void by dead and wounded for a distance of 100 yards (91 m), Corporal Vittori continued his valiant stand, refusing to give ground as the enemy penetrated to within feet of his position, simulating strength in the line and denying the foe physical occupation of the ground. Mortally wounded by enemy machine-gun and rifle bullets while persisting in his magnificent defense of the sector where approximately 200 enemy dead were found the following morning, Corporal Vittori, by his fortitude, stouthearted courage and great personal valor, had kept the point position intact despite the tremendous odds and undoubtedly prevented the entire battalion position from collapsing. His extraordinary heroism throughout the furious night-long battle reflects the highest credit upon himself and the United States Naval Service. He gallantly gave his life for his country. The Medal of Honor was presented to his parents on 7 September 1952. In addition to the Medal of Honor, Vittori was awarded the Purple Heart. 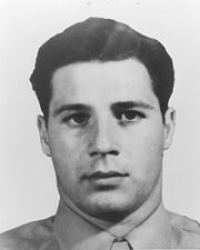 Corporal Joseph Vittori was killed in action on 16 September 1951. He was originally buried at the United Nations Military Cemetery in Tanggok, Korea. In January 1952, his body was returned to the United States for re-burial at St. Mary's Cemetery in Beverly, MA.